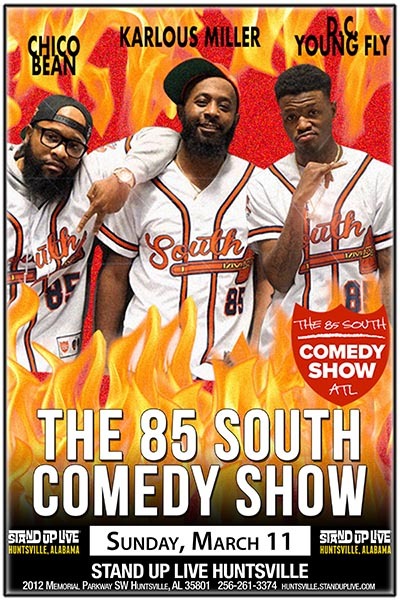 The last few years, the 85 South Show has been shaking up the podcasting scene with improvs and freestyles by some of the fastest rising comedic talent from the South. Join DC Young Fly, Karlous Miller and Chico Bean on a Sunday night as they bring their talents to the Rocket City. It’s going to be one hell of a show – and the whole thing will be turned into a new episode for the masses.